This Is England Set For Final Film? Shane Meadows revealed he has "one last idea" for the classic series. 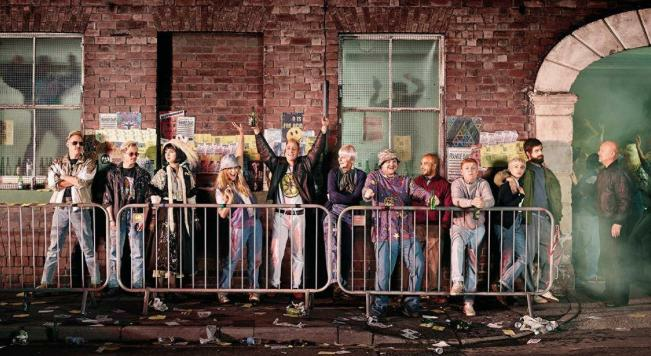 We thought we'd waved a final goodbye to Shaun, Woody, Milky and Lol when This Is England '90 left our screens last year, but it looks like the cult hit could be set to return to the big screen again. In an Interview with The Sun, Shane Meadows revealed he has "one last idea" for the skinhead franchise, and it involves a "hybrid" which allows fans to watch the film on the TV and in the cinema at once. “There is one This Is England left," the BAFTA-winning director said. “I’ve got one last idea for This Is England but as a film that can be split as a hybrid — because it started in cinemas and ended up on TV, I would love to finish off with one feature-length episode people can watch in the cinema or on TV the same night." However, the 43-year-old admitted no firm plans have been made, as it might be difficult to get the cast together. He explained: “The cast have all gone on to bigger, better things. All of them are doing incredible things, so that’s probably the hardest thing now — trying to get everyone back. However, it looks like bad news for those wanting another series, as Meadows just doesn't think he has it in him.